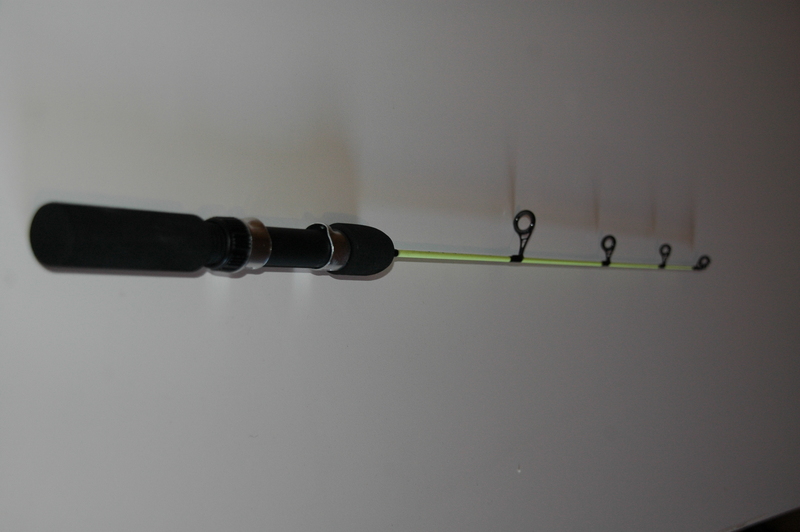 Our Glow-in-the-dark ice rods are made of solid fiberglass. 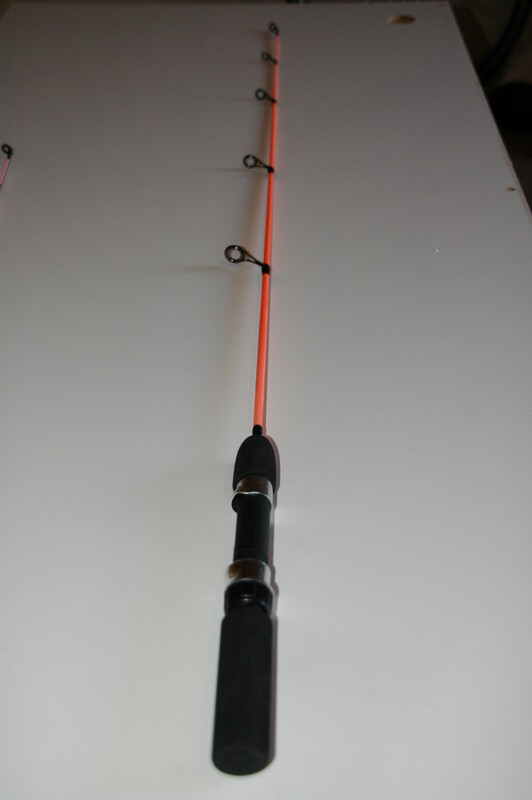 They are a Medium to Medium-Light action rod. 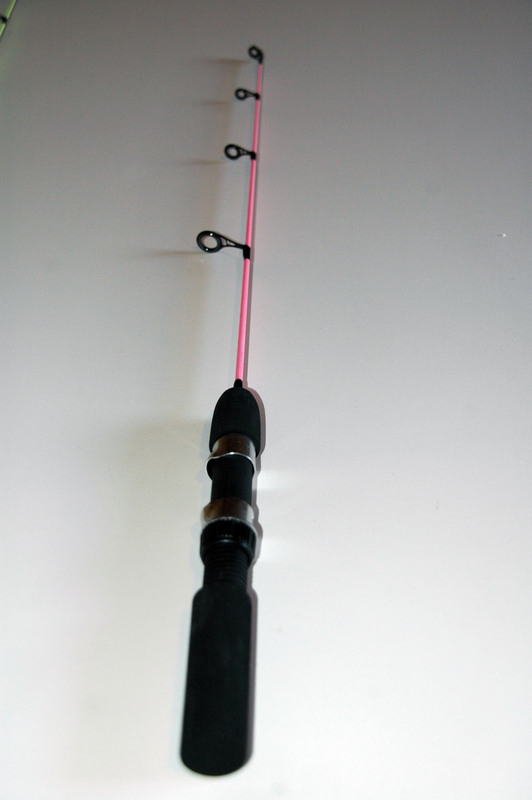 These rods are designed to handle bigger fish but at the same time the tip is sensitive enough for the smaller panfish. 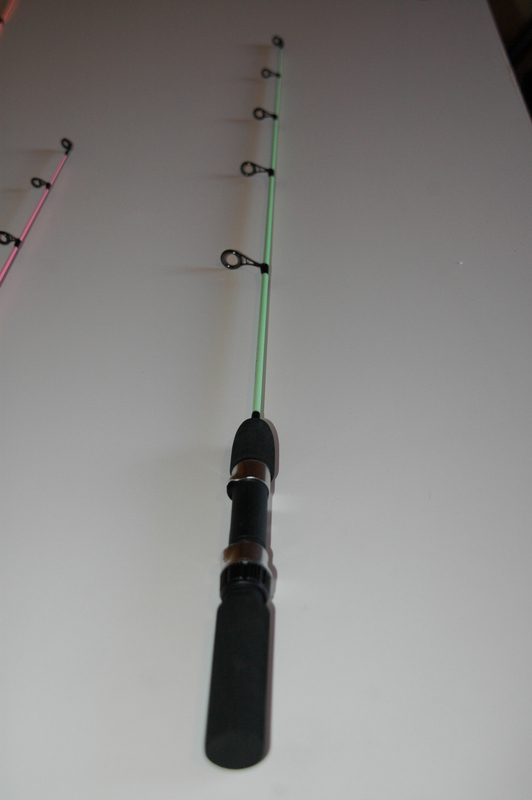 These rod are highly visible in the day and they Glow come night time or in an ice shack.